GCL Amoeba 135 - Essen Excitement Extravaganza! Have you ever attended the Essen Spiel? If so, why did you go? What was the favorite part about the experience. If you have not gone, why might you desire to attend? Do you look forward to Essen each year? What are your top 3-5 games for which you have high expectations this year and look forward to playing? Why? Are you looking forward to any expansions being released at Essen this year? If so, which ones and why? What do you hope they will add to the gaming experience? Are you looking forward to any potential promos for any of your favorite games? What are your general thoughts about promos in general? Which game(s) were your greatest disappointments from Essen 2012 in that they didn't live up to your expectations? Why? And to be fair, your biggest surprise? I have 5 games to report on this week, most of them short (or at least short-ish.) I went over to a friend's for a game day, but I had things I needed to do (in particular, I wanted to review my notes for a Sunday School class I taught today) and I was feeling a little tired, so I didn't want to stay up too late. _4_ Der weiße Lotus -- I had played this game once before, clearly in 2000 or 2001, because I didn't record it, and I started recording all my plays starting in 2002, and had rated it a _6_. I didn't remember too much about it, but I did remember that it seemed to have some promise but didn't deliver in practice. I had always thought it would be worth trying the game again to see whether it would be better the second time. Dan had been trying to get a game of this in for weeks, and I was happy to try it again. We had 5 players, one fewer than the maximum of 6. This is a game driven by blind bidding. In principle, if every opponent makes decisions in a rational, self-interested way, and you can evaluate what those decisions might be, this game could work. We didn't have the group for that (maybe they were being rational, but I sure couldn't figure it out.) In addition, this game features a bucket of hidden trackable information, which usually irritates me, and to top it off, when you have 4 or 5 people all vying for control of the same province, it's almost interminable. I still think the game could work for some groups; I no longer think any of those groups include me. I dropped my rating by 2 points, which is an unusually large change for me, even for a game I played only once more than 10 years ago. _8_ Trick of the Rails -- Now this is a game I really like (as you can see above, I'd love to find a copy and am hoping my friend might find one somewhere at Essen.) Many people think this game is totally random, but (at least when played with 3, which I think is best) I think there's a lot you can do to plan. It's a game where having the high cards can be valuable, but is not necessarily decisive (sometimes you actually want to lose a trick.) I've played it five times now and it's holding up very well. _8_ Bucket Brigade -- I have been looking for a copy of Honeybears (the original Piatnik edition) for many years, and I finally got a copy (Joe Huber found a copy and knew I was looking for one.) To celebrate, we played a game. Marsha had a huge second hand, getting Red Bear (Go, Red Bear!) home while she still had four red 1's in her hand, scoring 30 points just for red, plus 6 more for ending the round. It goes without saying that she won the game by a landslide. _8_ Alhambra -- Around this time of the year I start looking to see what games I really enjoy that I haven't yet played during the year. One of those games was Alhambra, which I have played 60 times, and which I have played every year since 2003, when I first tried it. Surely I had to get a play in! For some unaccountable reason, Joe Huber and some others in the group prefer Stimmt So, the tile-less version, but there would surely be non-crazy people there too. I added it to the set of games in my tub and let people know I wanted to play, and was joined by Aaron and Ralph. I have the older version with red, orange, yellow and blue money; the newer version has green money, which is easier to distinguish, but I've never upgraded. The game is probably at its best with 3, since you have more control than with more players (there's a decent 2-player variant, but I think 3 is the sweet spot.) It was a close game, with Aaron jetting out to a big lead in Gardens and me to a big lead in Towers, and as we emptied the tile bag, we knew it would be close. Sure enough, I was in first by 3 points before the wall scoring, but he out-walled me, 25-19, to win by 3. Ralph was not far behind, having scored first place in several less valuable colors and second places in others. _5_ Walk the Plank! -- There seems to be an endless stream of pedestrian Kickstarter games these days, and this was another. It is a blind action programming game in which you try to push your fellow players off the plank (big surprise, given the title, hmmm?) It degenerated toward the end, when there were just two of us left, but it finished soon enough. I didn't hate this game, but it has nothing to draw me. I imagine this is a game people might want to play late at night when they are too tired to think. That's a niche, I guess. This week was slow on the gaming front due to having on call responsibilities for four days which keeps me home and away from the local gaming scene. Guess I should start hosting! Finally played this epic election game once again. Played this one at least once a year for quite a while but hadn't played in a couple years. I think this was my first time actually teaching the game and I felt it went fairly smoothly overall. I prefer the HiG second edition version which is what I have. One or two others in my Monday night group had wanted to play as well. A couple people who tend towards AT games were less impressed but there might be a chance to play again in the future. I pulled out the victory as I controlled the final region and was able to make the issues platform match mine in its entirety pulling out a victory despite doing less than well in several elections. Not a huge gaming week, but I did get in a few games online (I'm a huge fan of Wargameroom). Next Saturday is a gaming party at my house, though, so there should be plenty to report on from that. 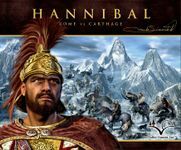 _8.8_ Hannibal: Rome vs. Carthage: I got Rome in this game. The war started off splendidly. Although Hannibal took minimal attrition in his inevitable Alps crossing, the Romans took a stretch of northern Spain, and Hannibal tried to intercept Scipio's move to Ariminum (to set up a roadblock), but Scipio declined battle, leaving the great general out in the cold when winter arrived (pun totally intended). After a turn of intense battle in 217, Hannibal was looking severely weakened. He had to run on T3, and Scipio (back in office) narrowly missed finishing him off. Hannibal returned in full force after the fickle Senate replaced Varro with Marcellus at the beginning of T4 (wouldn't be the first time the Roman Senate cut off its own foot). Anyway, Hannibal, grimly awaiting the younger Scipio's inevitable appearance, ran down to southern Italy, where he soon convinced the the inhabitants of the former Magna Graecia to resist the Romans. Scipio A. quickly restored order, and a mix of Diplomacy and sheer manpower eventually subdued the rebellious Hannibal, but a string of Carthaginian victories importantly delayed Rome's eventual triumph in Italy. As it was, it was too little, too late for the Romans, who couldn't take over any more provinces while they were busy taking down the Carthaginians in Sicily (where Hasdrubal secured Carthage's 3rd win with a lower battle card count), who were already impeded by some bad naval rolls. The score was 10-8 Rome going into the last turn. Carthage got a fantastic hand, and Rome drew one 3-op card: Philip V. I immediately played Philip V to cancel the alliance and hopefully dent Carthage's plans, and I drew Syracuse! That was pretty fantastic. Unfortunately, a Roman win just wasn't in the cards since Carthage had Messenger Intercepted (which he got the only two times it came out). Carthage sailed at the last minute to Brundisium, and the Romans didn't have enough cards left to counter. Overall, it was a great game (although the opponent was a bit of a whiner). _8.6_ Commands & Colors: Ancients: I got Pyhhrus in this one at the Battle of Beneventum (the one in 275, not to be confused with the one during the Second Punic War). I beat up his right flank with my cavalry and then retreated when my forces were a bit depleted. That put me up 3-0 and in the (chariot) driver's seat. Rome had a bit more luck in the center. The Romans organized a frontal assault with most of the medium and heavy infantry available. My initial attack in the center failed, and the Roman counterattack came quickly and forcefully, netting the Romans 4 banners and tying up the game. I proceeded to charge against a full-strength heavy infantry and a weak medium infantry. Although I had two attacks on the heavy infantry, my first medium infantry took care of business and killed the unit and its leader. My medium cavalry behind his lines took care of his weak medium infantry, giving me my seventh banner and the game. who's a great gamer and a really nice guy. I had Pompey in this game. Spain fell, but the key was my loss of Utica, which had some rather deleterious effects. Caesar was eventually able to capture Alexandria and Athens. another great gamer and overall great guy. (He also happens to run Wargameroom, but I know him from WBC.) I had Nixon. Bruce managed to lock up the East early, dooming my efforts there to grunt work on states like Massachusetts and Maryland (not that those aren't really cool states, because they are). I got the Midwest, but it was eventually flipped with the help of an endorsement. Bruce outperformed me on issues for the most part, and I lost the debates rather decisively. (A large number of Kennedy events had prevented me from saving optimal cards for the debates.) I admit I was probably outplayed, but my chances in the last turn were killed by Nixon's Knee. I lost by a little more than a hundred votes. I was able to game with both groups this week. The morning group started out with Acquire. I'm slowly getting better at this game. I came in 2nd, which I think was my best finish ever. Next up was a game I hadn't played before, although it's certainly not new. We played Attika. I used the clever strategy of "draw the right tiles" to get a fairly easy victory here by connecting 2 shrines. 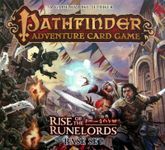 Then we played Pathfinder Adventure Card Game: Rise of the Runelords – Base Set. I was very pleased with this one, I enjoyed the way it works, except for the long set-up time. I liked it enough that I'm considering getting it. Finally, we played Guildhall, which the other 3 had played before. I rather enjoyed it as a light game that still had a decent amount of strategy. 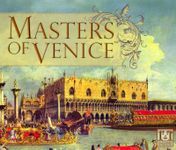 For the evening group, we started out with a 4 player game of Masters of Venice which I've been trying to get back to the table for some time. I won by 5 or 6 points, mostly I think due to a little more experience with the game. 2 of the 3 players definitely enjoyed it, and I think the 3rd one would be willing to play it again, too. This game is an economic game and a worker placement game, and I think it blends them well. While trying to figure out what to do next, I taught them all Coloretto (1 had played it 1x before), one of my favorite fillers. I won it handily and everyone had a lot of fun. I wrapped up with 3 player game of Innovation, a game I really love and don't get to play enough. I did not win this one, as the cards didn't like me until it was way too late. A good gaming day, it was nice to be gaming again after a 2 week hiatus. Rattus continues to amaze me. Every game is different due to an almost unlimited amount of roles at this point. Yes, this game needs to be played with people who do not AP, but luckily the people I get to play with do no such thing! I've got lots of new games recently. I reviewed Ab in die Tonne here. Qwixx was a total impulse purchase, and a good one. It's a good filler, and I think worth the SdJ nomination. I built an online score sheet for it, if you want to save the paper sheets. The new Lord of the Rings deck-builder was pretty good. Interesting new cards, but if you're not a fan of the first game, this one won't change your mind. Not quite back to normal but things are looking up. 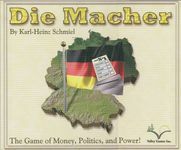 We had elections on Sunday, so what better day to play a game of Die Macher (and what are the chances of several GCL members playing this game in the same week?). My game also played out similarly to Larry's: I was able to win the final two elections and sweep the national board which gave my party platform score a nice boost and cost everyone else quite a bit. Since the last state was also Bavaria, the biggest we had in the game, that was enough to win the game. On Saturday, we were at an all-day gaming event called MAYBE Games in Pelham, NY. _6_ Small World - As we arrived, we were met by David, who was looking for someone to teach him Small World. Anni was happy to oblige with her excellent teaching skills. We were joined by a fourth, a woman who had played previously, but didn't seem to be much of a gamer and didn't really understand the strategies. I started out with Flying Skeletons, and tried to take on the Ancient Race tokens in order to get more Skeleton tokens. Anni grabbed some sort of Troll, which turned out to be a great move, as her Troll fortifications stuck around after she declined, so no one bothered them and she got points all game. My Skeletons petered out before I would have liked, so I took the Amazons. Anni declined and took Dragonmaster Humans. I tried to attack her Humans, as the Trolls just wasn't worth the trouble, but wasn't able to inflict that much pain before the Amazons petered out. I took the Tritons because they had a bunch of point tokens on them, and again tried to attack the Humans, but they weren't that effective in and of themselves. Anni managed to hold onto the Humans all game to make sure she got those Troll points. She ended up winning, and I came in third. _7_ Hive - Anni grabbed the fourth seat in a game of Dominion that was starting up, so I played a game of Hive with Tom. I hadn't played this in about five years, so I didn't really have all the rules right in my head. I tried to build up my "land bridge" with Spiders, which didn't seem to be otherwise useful. Tom got a head start on trying to get guys around my queen, so while I did get some ants over to his, I was soon forced to start playing defense. He eventually played a purple bug back behind his other guys near my queen, which I didn't see the point of, but he then moved it on top of his other bug, which meant he could get the last spot, and I couldn't do anything about it. _9_ The Castles of Burgundy - This was with me, Anni, Tom, and another guy who had played before. I ended up with board #4, which has the two size-5 building regions, and the size-4 water region. I placed my initial castle in upper right next to the two mine spots, hoping to get some mines early, but going first I rolled a 1 and a 2, making getting even one mine impossible. I was able to get some double-resources with boat placements early, so I decided to double down on boats, stay in the turn order lead, and buy the good-related yellow tiles when they became available. I was able to stay ahead of Tom for the turn order lead when it was important, amazingly jumping ahead just as each new round was beginning. The yellow tiles for differently-colored goods and total goods came up in the same round late in the game, but other people weren't as interested as I was, so I got them both. Unfortunately, I didn't have my most efficient game, as I had to take workers for my dice three times. I pretty much ignored buildings, so I wasn't able to score the biggest regions on my map. The fourth player got the board with the size-8 building region, and completed for a ton of points, which was enough to give him the game. _7_ Keyflower - This was with me, Anni, Tom, Brian, and Ken. I was dealt winter tiles that gave bonuses for green meeples, and bonuses for sets for differently-colored cubes. So, in the first round, I bid on a tile that turns yellow meeples into green meeples, and another tile that produces any cube, or all three if it's flipped. Anni tried to outbid me on the green meeple tile, but I outbid her. After a while, I figured no one else was interested in the other tile, so I spent my remaining two meeples to bid on a carriage tile--of course, that's when Ken decides to outbid me for the original tile. So much for that plan. So I spent the rest of the game trying to build up the number of green meeples I have by using them only on my own town, and I end up with like 14 of them by the end of the game. During the course of the game, I had also picked up a tile that, when flipped, gave me three saw/anvil/pickaxe tiles for one, so I had amassed a pile of those, without much to do with them. So, I was encouraged when two tiles that gave bonuses for those showed up in winter. I knew I could win bids easily with green meeples, but I decided to press my luck and use red meeples to bid, since I knew I was probably already in a hole. I bid one red meeple on my winter tile that gave bonuses for green meeples, knowing that I had two more red meeples to outbid if needed, and that no one else even wanted that tile. Naturally, Ken decides to up my bid--bidding 3 red meeples himself! There are a couple spots on people's board that let me draw random meeples out of the bag, so I spend the next three or so rounds trying to fish a fourth red meeple, but I come up empty, so I can't win the green meeple tile at all. I end up winning another tile that gave me 3 points per every 4 meeples, which is worth 12 points to me. I finished with 32 points, good enough for 4th out of 5. _7_ Jaipur (new!) - This is a game Anni knew that I didn't, so she agreed to teach me. She used the camels very effectively, while I mostly just slowly built up cards in my hand. It was helpful that, when she took a whole bunch of cards with her camels, I'd have lots of new choices that I could take from. In the end, though, I was the one that ended up getting the camel bonus, since I took some camels at the end but never used them. This was a very close game, but Anni won 86-85. _8_ Spyrium (new!) - A 3-player game of Spyrium was setting up right next to us, so we decided to only do one round of Jaipur and jump into the Spyrium game. This was with me, Anni, Alan, Rich, and Joe. I believe Alan was the only one who had played before. Since the name of the game is Spyrium, I decided to focus first on a mine card that produced spyrium. Alan was very good at giving strategy hints throughout the game, and many of them directly benefitted me. The patent that lets you activate mines without meeples came out, and he said that it was very good with mines, so I went hard after it and got it. Next, he said that my patent works well if you have multiple mines, so I got another mine. Then, a card came out that let you turn 5 spyrium into 15 points came out, and Alan said that it was really powerful, and this was the best ratio in the game. So, yup, took that too. Alan himself was doing a more sneaky strategy, though--he maxed out his income track early, and kept going income track bumps to gain 7 points repeatedly. Toward the end of the game, I got a super-mine that let me produce 3 spyrium at a time, but I think that may have been going overboard, as I ended up using most of the extra spyrium at the end for the 1 point apiece provided by my patent (not a great ratio). Alan ended up winning, but I was a solid second. Love CoB, cannot win a single game of CoB no matter what I do.